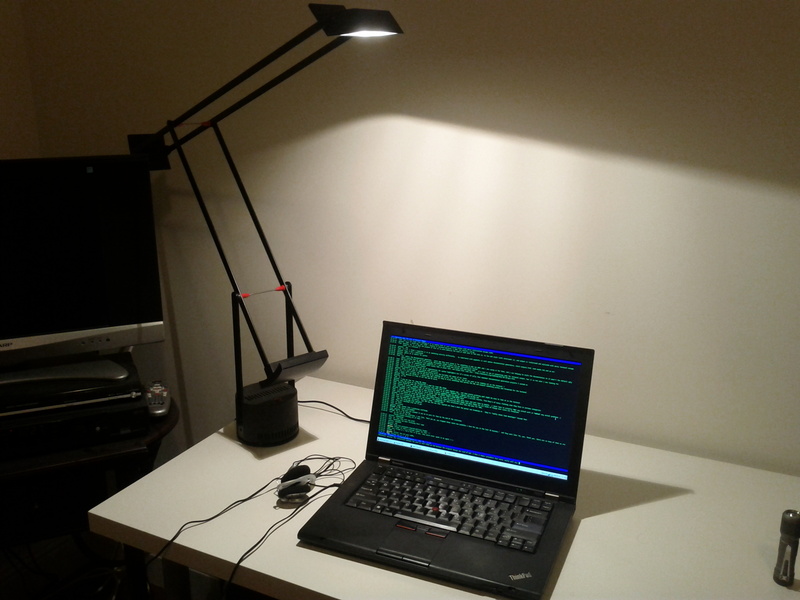 Repairing a flickering Tizio lamp. This is a Tizio lamp. Created by Richard Sapper in 1972 and manufactured by Artemide in Italy, the Tizio is an icon of contemporary industrial design. Clean lines punctuated by occasional red accents give the lamp a simple yet bold utilitarian appeal. An innovative system of counterweights obviates the need for springs, providing effortless manipulation through an expansive range of motion. The lamp has a few weaknesses in its engineering, however. External wires have been eliminated in the effort toward simplicity. The arms themselves are responsible for conducting electricity from the transformer in the base to the lamp head. The segments of the arms are joined by snap buttons, held to the arms by brass rivets. It’s these brass rivets, which in forming part of the electrical path from arm to arm, create a point of failure. They are not bonded to either the button or the arm, and are made of a corrosion-prone material. The problem is compounded by the spacer rod between each arm, which is held in place by screws which run through the centers of the rivets. 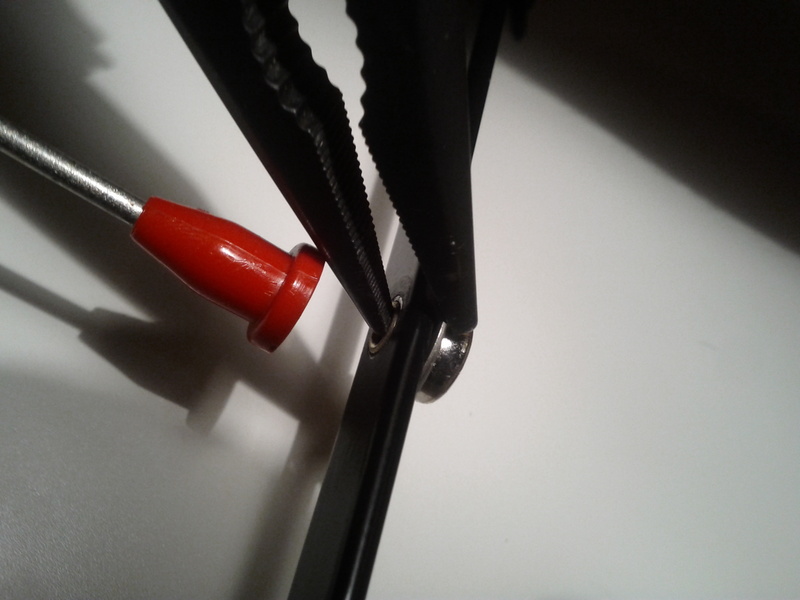 The pressure from the screw pulls the rivet away from the arm. With age, the electrical connection can weaken, losing its ability to carry the current necessary to power a halogen bulb, and the light flickers and goes out. 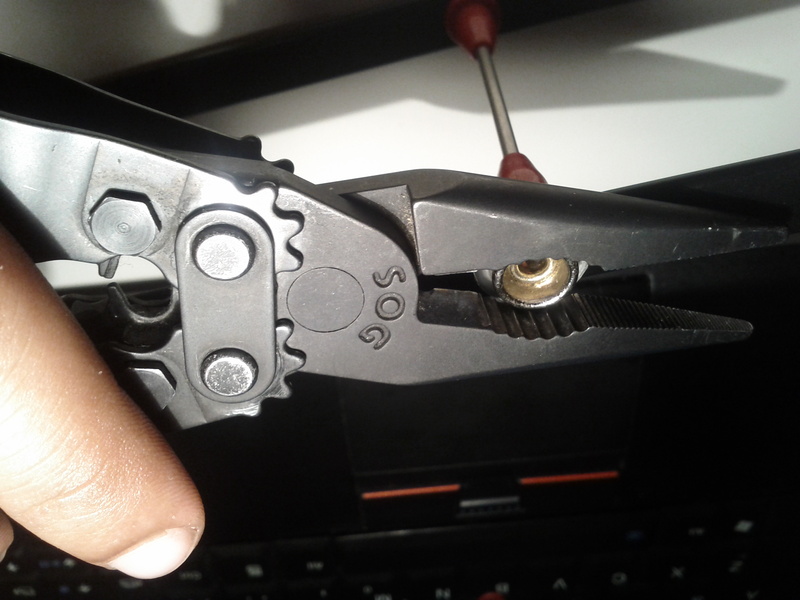 Taking inspiration from vampire taps, I was able to repair this problem by using a pair of pliers to bend the edges of an afflicted snap button toward the arm it’s riveted to. If the button is then rotated, the bent edge will cut through the paint and touch the aluminum directly, forming a solid electrical connection. I put this blog up recently so I have somewhere to publish projects I’m working on, and maybe even make some fun blog posts!